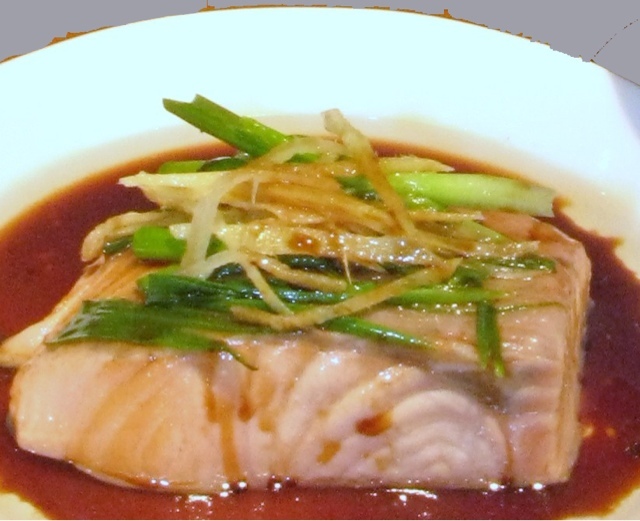 We put the salmon sousvide with onion relish on the menu but something seemed wrong. Because it was served as a main, mainly customers complained that it was not hot enough. So instead of changing the cooking temperature, I decided to serve it like before - salmon sous vide Canto style like a steamed fish. Let's see how it turns out this time.